Micich, Paul. Very Good. 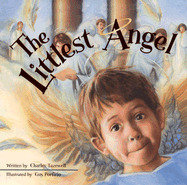 The Littlest Angel by Tazewell, Charles. Sewn binding. Paper over boards. With dust jacket. 32 p. Contains: Illustrations. Intended for a juvenile audience. Good. 0895429233 Ships from Tennessee, usually the same or next day. I bought this book for my grandchildren for Christmas. It is a wonderful story and is definitely a classic!